Building an app is hard. 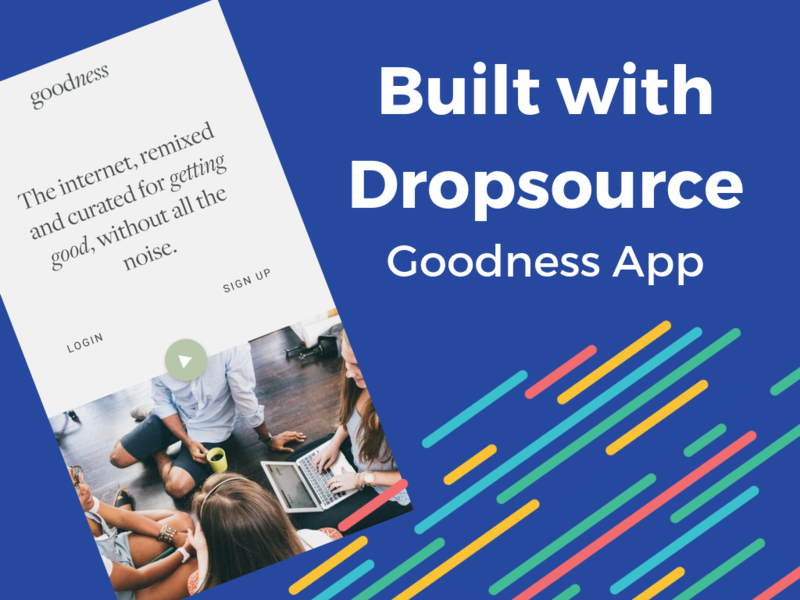 Getting people to download your app can be even harder. It requires a lot of time, energy, and money to get awareness and drive early traction, yet the sad truth is that most apps lose the majority of their hard-won users immediately after first-time use. The average app loses 77% of its daily active users within the first 3 days after the first-try. That’s a tough pill to swallow for any app developer. Businesses invest a huge amount of resources into acquiring new users, only to lose the vast majority of them immediately after their very first use. But how can you do better? Well it’s simple (but not easy) — you need to create a great user experience. How can you do this? There is a lot of useful mobile UX content out there — here’s some of ours: Mobile UX Essentials & iOS vs Android Design. But for today, let’s take a look at five of the most common UX mistakes app developers and designers make, so that you can avoid falling into the same traps. Users can become annoyed when the first thing they see when launching an app is a login or a sign up screen. Consider Instagram and Tumblr, both social sharing platforms. Instagram doesn’t provide a product tour or even a description of what it does. If users aren’t thoroughly convinced they want to go through with setup, they’ll have to go elsewhere for more information. 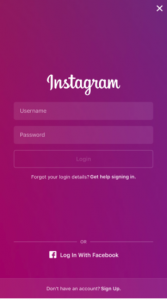 Instagram asks users to log in or register, but it doesn’t offer the user any value before registering or real reason to do it. 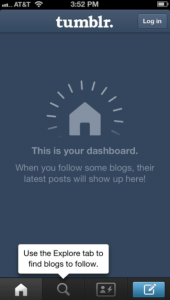 Tumblr, which still does ask users to register, offers content that the user can engage with before registering, thereby offering value. Think about following the Tumblr example and have your app show the user at least some of its value that will prompt their engagement. This way registration will be a natural next step for the user and one they’ll take eagerly, instead of feeling forced into it. Adding as many features as you can to the app may seem like a good idea at the time, but in most cases, this results in disorientation and clouding the overall UX. We often hear the term feature overload used to describe feature-rich apps whose functions are never really used by people. In the long run, users can become frustrated with such bloated apps because they find them complicated and not user-friendly. Besides, apps with too many features tend to be slower. Stay light and lean when it comes to which features you want to include. The greater the number of choices, the less happy users tend to be. The core purpose of a successful app is to simplify the life of users while focusing their attention on those few things that really matter. When deciding what features to include in your app, follow the Pareto principle: 80% of app users never utilize more than 20% of its features. This 20% becomes the whole product. It’s therefore worthwhile cutting the functionality of your app to only the most essential features that are directly related to the user’s goal. Designers sometimes get overambitious and design an app to make it unique. One common example is using creative navigation (e.g. gesture-based). 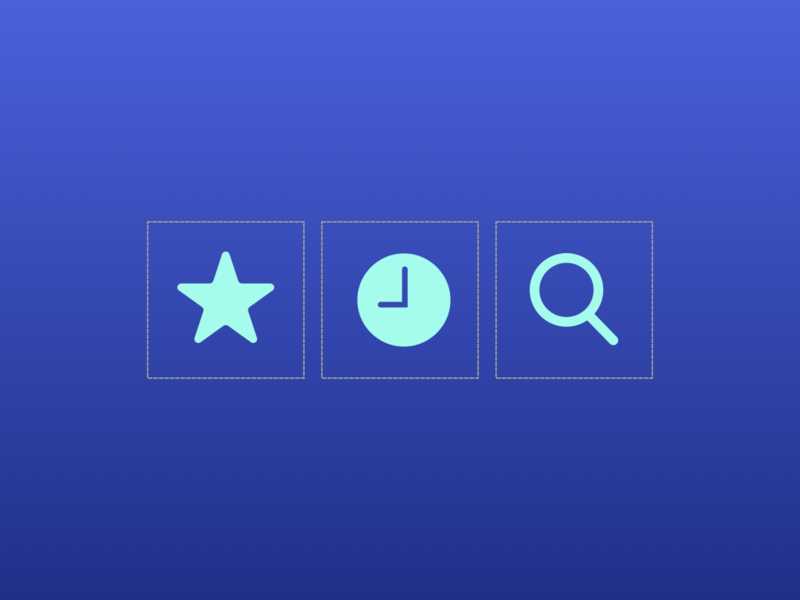 Incorporating creative navigation is a great way to make your app design stand out, but at the same time, creative navigation might be tedious for the users since they have to learn how to use it from scratch. Every time the user must learn how something works, it creates friction. 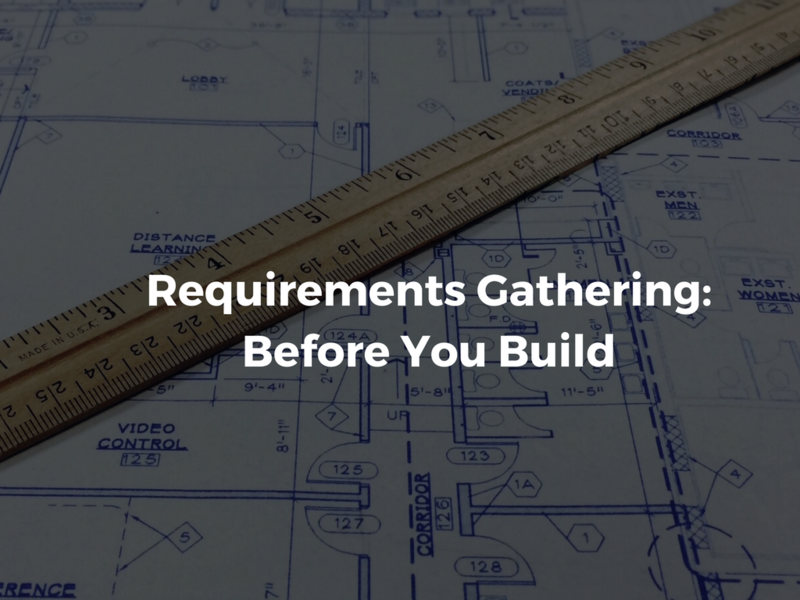 For the sake of predictability, use as many familiar UI patterns as possible. Follow a rule of thumb, clarity before cleverness. No doubt onboarding is an important part of the first-time experience, but unfortunately a majority of app developers use the least useful type of onboarding: the swipe-through tutorial. This type of onboarding is more a burden than a blessing since it injects a barrier between new users and the app. Even when a tutorial is beautifully designed or fun, most users don’t have the patience to go through it. Most users want to start exploring the app on their own. They don’t want to read about the benefits that app provides, they want to try them. Every day, users are bombarded with useless notifications that distract them from their day-to-day activities. Annoying notifications are the #1 reason people uninstall mobile apps (according to 71% of respondents). Too many notifications in a short amount of time. Make notifications valuable for users. When you do need to distract people, make the notifications high-quality — useful and interesting for the target audience. Personalized content that inspires and delights is critical. Don’t send push notifications at weird hours (a notification sent between 12:00 AM and 6:00 AM local time risks disrupting the user). 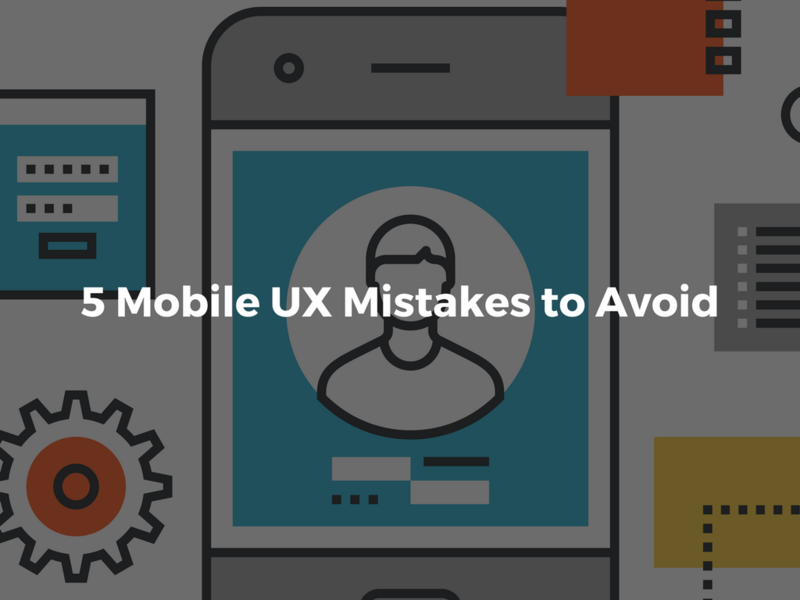 Don’t fall into the bad mobile UX traps! No one wants to create a poorly designed app, yet many apps fail because the developer makes a (or several) critical UX mistake(s). If you want your app to be a huge success, then UX should be considered as an essential component of product strategy. If you can avoid these 5 common mistakes, you’re app will already have a big advantage over a lot of the other apps out there. Got a bad mobile UX experience or example you want to share with us? We’d love to hear it, please leave us a comment below!